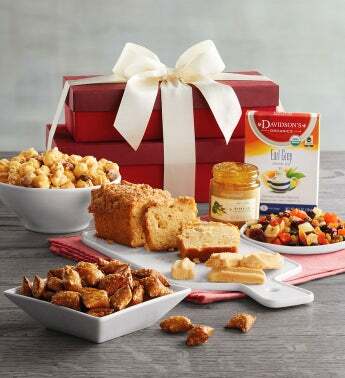 This elegant two-box tower comes bearing delicious gifts your special someone is sure to love. 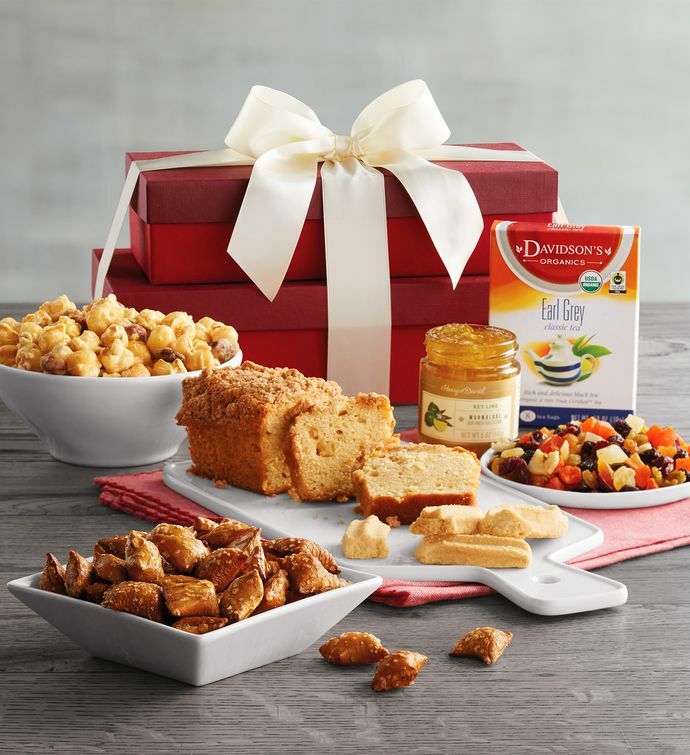 We've included sweet apple loaf cake, tasty sea salt caramel cookie straws, buttery Moose Munch® Caramel Premium Popcorn, irresistible peanut butter pretzels, and more. It's all tied together with a hand-tied ribbon.